I am pleased to welcome ETMW community member Holly to the blog today. As many of have been, she is a victim of judgment over feeding circumstances for her son. She brings the unique perspective of being an American who gave birth and experienced the her child’s early months in another country. Thanks to Holly for sharing her story here. My son was born in Australia. That sounds a lot simpler than it actually ended up being. After an eight and a half hour labor, I gave birth to a gorgeous ten pound, one ounce boy (yes, you read that right). And the Australian hospital where I gave birth kept me in the hospital until my milk came in. That meant that I was in the hospital for five days, waiting for something to happen that I wasn’t sure I wanted to do anyway. I figured that this wasn’t going to be a cakewalk when one of the midwives in the hospital called him by his nursery nickname- “the Hoover”- when I asked for him. But I figured that eventually, this breastfeeding thing would get easier, because it had to. Everyone said that it was the right option: my parents, my in-laws, my midwives, my doctor, my son’s doctor. In my experience, Australia is very pro-breastfeeding, which is a wonderful, incredible thing. But what I didn’t take into account was that some women can’t breastfeed. When my son was two weeks old, I found myself sobbing on the couch, staring at him while he screamed his head off. My milk wasn’t coming in, and I really wanted to do everything right. I looked down into his beautiful blue eyes- his father’s eyes- and we both cried. He had already lost two pounds. I wasn’t producing enough. Then something clicked in my brain. I was not going to let my child starve. Doing the right thing for him meant that I had to do the right thing for his sake, not what everyone pressured me to do. The right thing wasn’t even about what I wanted. And as much as I wanted it to be otherwise, I knew in my heart that breastfeeding exclusively wasn’t going to happen. Over and over again, people (strangers, friends, family, Internet commenters) have told me that formula is nothing but chemicals, or poison, or that I won’t be able to bond with him. I’ve gotten pressure from my in-laws to breastfeed. People have insinuated- and then told me outright- that I’m not a good mother because I formula-feed. I’ve heard it all, and sometimes it’s beyond me how people can be so hateful. 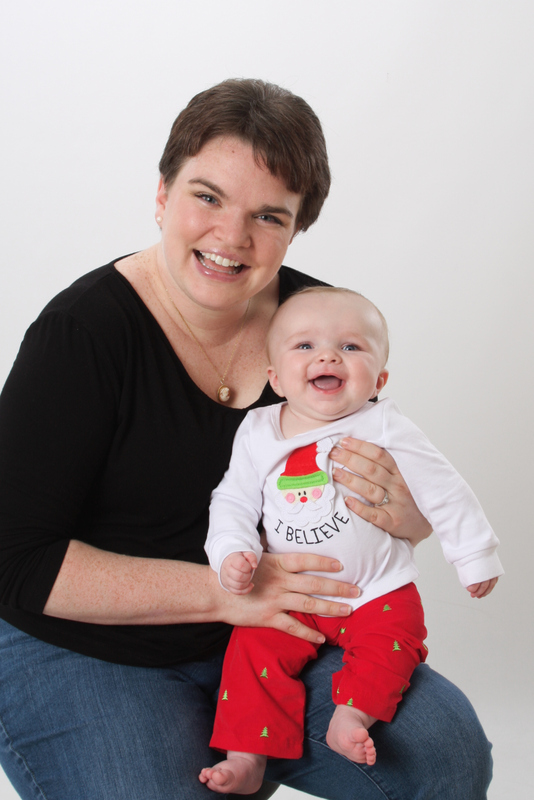 Alex is as healthy as a child can be- he’s hit all his developmental milestones. He loves to swim, he has a fifteen-word vocabulary. He loves and is loved. It is an extreme privilege to be his mother, and a responsibility that I don’t take lightly. And in the end, the reasons why I formula feed are mine and mine alone. It doesn’t erase the hurtful comments- but no comments in the world can erase the fact that I know I am doing what’s best for my son. Holly Barbour Wales blogs occasionally at http://thedorothychronicles.wordpress.com/. She has a BA and an MA, both in English and met her husband in late 2004 while studying abroad in Rome. They married in June 2012 in Australia, and their son was born shortly after that. Her hobbies are knitting and reading. She’s a BBC and PBS addict, a history buff, and finds no greater pleasure in life than spending time with her family watching Dr. Who and enjoying a good cup of tea. She suspects she’s a 60 year old trapped in a 30 year old’s body. You did what was best for you and your son. I wish I had the strength to do the same with my first baby! Hold you head up high and ignore the negative comments. You are a great mom! You’re an awesome mom Holly! No one could ever truthfully tell you otherwise.